If you have not worked with yeast and are a bit intimidated by it, this recipe is great. Its a really easy starting point that will buoy your confidence to try something a bit more substantial. I was truly afraid of working with yeast, to me it was one of those mysterious ingredients that only experienced cooks and bakers used. I dragged my feet for so long before attempting my first bread. When I did finally take the yeast plunge I was super surprised at how easy it actually was. Put all dry ingredients into the bowl and then the olive oil, slowly mix in the water ( I find it useful to use a butter knife for this, a flat edge with no serration ) you may not need all of this water or you may need a little more. 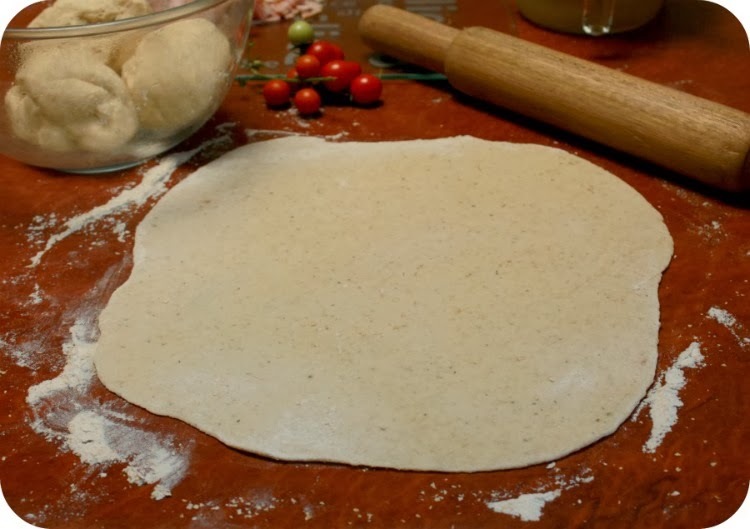 Once all of your ingredients have combined into a ball lightly flour your kneading surface, turn the dough out onto it and knead for 5 to 8 minutes. If you have a food processor with a dough attachment you can pop everything in there and slowly add the water to the turning mixture. Let this rotate for between one and two minutes and you will get a really nice silky dough without having to knead by hand. 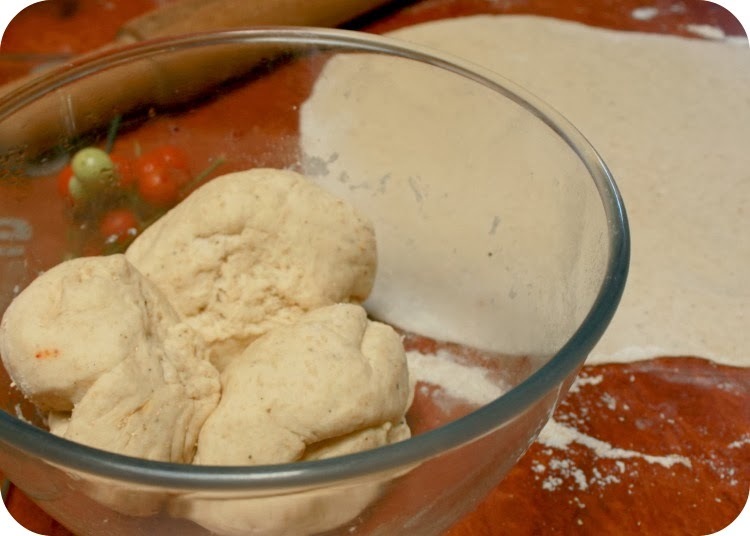 Lightly oil the inside of a big bowl and put your kneaded dough ball inside, cover this with glad wrap and leave in a warm spot for at least an hour. The time will vary depending on your climate and I'd recommend a warmer day for your first try as a better result is probable in warmer conditions. You are looking for you dough to have increased to double in size or thereabouts after its rest. When you feel it has rested long enough take off the plastic and punch down into the centre of the dough. remove it from the bowl and knead for another minute or two. At this point I divide my dough into 4 portions and individually roll them out. This makes 4 large thin bases. This recipe can be easily halved for two or you could use the same recipe to make fewer thicker bases. I like to incorporate some herbs into my Pizza bases but this is totally optional and dependant on your personal preferences. I'm happy to answer any questions here and encourage you to have a try at working with yeast, even if it doesn't work out for some reason you will have started the journey and learned something along the way too.